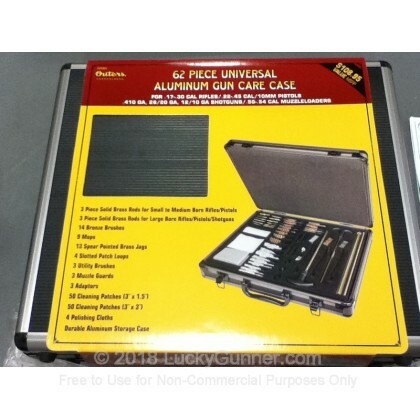 This durable cleaning kit comes in a sturdy aluminum box that will go perfect with your gun collection. 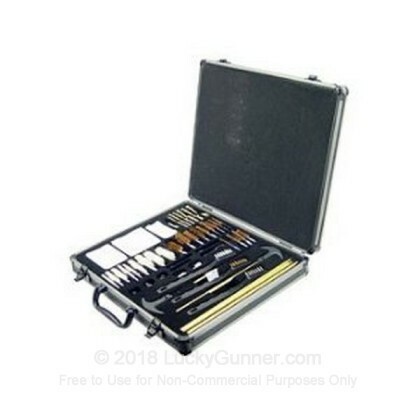 This cleaning kit covers the gambit on virtually all firearm calibers with its 62 pieces. The quality is good but after purchasing the kit i found comperable ones at a better price.